Let's face it: everyone is into mob movies. They're violent, dramatic, political, and they keep you on the edge of your seat. The Godfather, Goodfellas, Casino, Donnie Brasco, The Departed. All of them are totally incredible, multi-layered films. 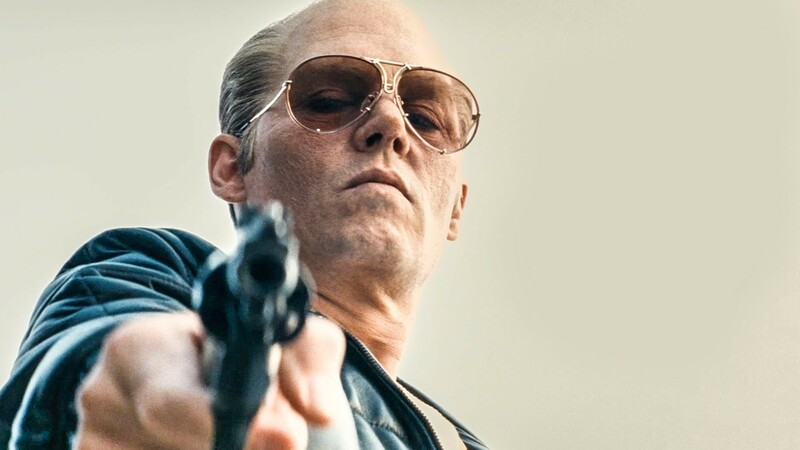 While Black Mass doesn't quite measure up to the rest of these in terms of complexity, it's a wonderfully made movie that sustains a level of suspense and unease and, if nothing else, will satiate your craving for the old gangster flicks of yesteryear. The plot follows Jimmy "Whitey" Bulger, a crime boss in Boston in the 1970s-80s. While the film spotlights him in particular, viewers are also witness to his henchmen and to a political alliance that went sour, involving a member of the FBI giving him immunity to do whatever he wanted in exchange for tips that were never provided. While I'd be lying if I said this movie wasn't fascinating, don't go into the theater expecting to see another Goodfellas or Departed. The pace of Black Mass is steadier than most gangster movies, because instead of following a member of the gang, they're following the gang leader himself, and with this in mind, the movie turns into more of a character study of Bulger himself than of a full-fledged look at gangster life. Also visibly absent is the usual glamour of the mob lifestyle. While these guys are making tons of money, Bulger is only ever shown wearing jeans and a leather jacket with his signature aviator glasses, and each scene is set in seedy bars and old houses in Southy, with the occasional counterpart in Florida. Doesn't exactly scream "millionare" does it? But Black Mass doesn't concern itself with the glitz and glamour of the gangster lifestyle as provided to us by the movies that have come before it (with the exception of Donnie Brasco which is actually somewhat similar). It is not so much focused on the glamour of the lifestyle as much as it is focused on telling the story of Bulger himself, speculation on how he got to be so cold-blooded, the circumstances of his disappearance, etc. 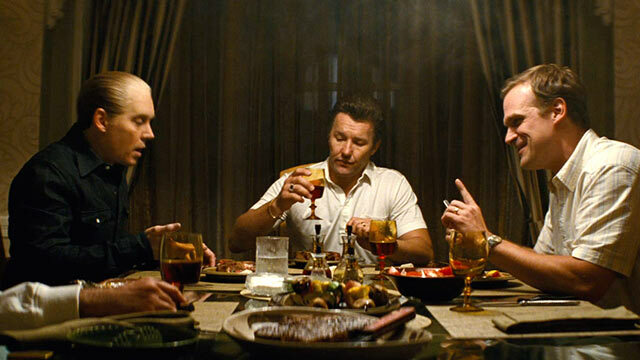 Still, it's hard not to compare Black Mass with other mob movies when there are so many memorable ones. I wish that the story gave us a bit more of a perspective on all of the characters, rather than just focusing on Bulger. I'd love to hear Jimmy Bulger talk about how the things in his life affected the things he did, or hear more elaborate testimony from the people that worked for him, and how the things that he did affect them. But I think another thing that Black Mass tries to do is to remain loyal to the portrayal of Boston people, and if there's one thing that the movie makes very clear, it's that they are not big fans of telling whole truths and full stories.